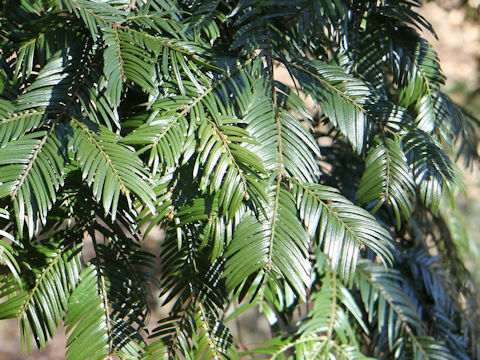 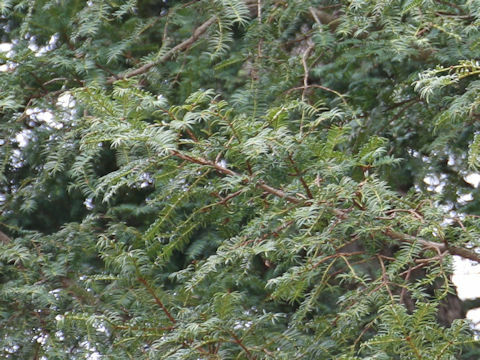 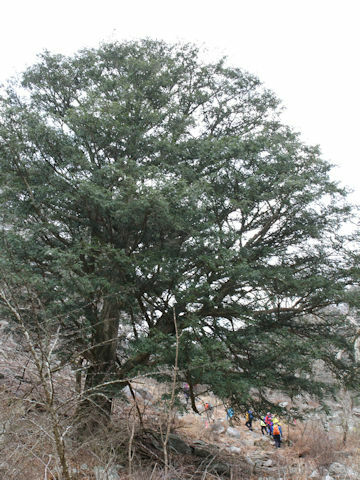 Japanese torreya (Torreya nucifera) belongs to the Taxaceae (the Yew family). 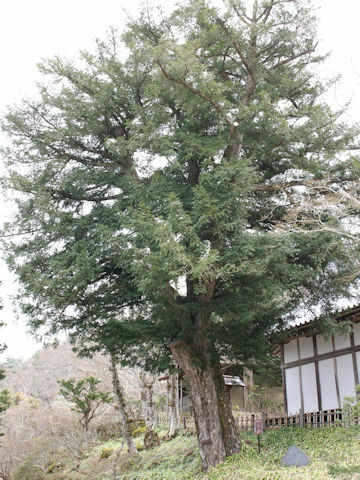 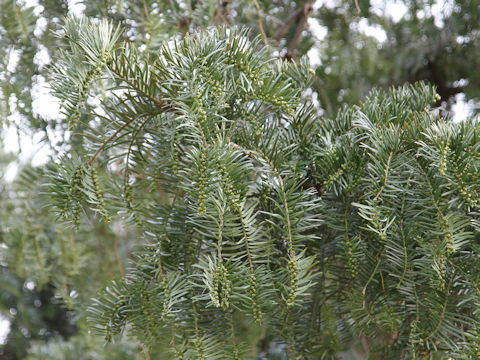 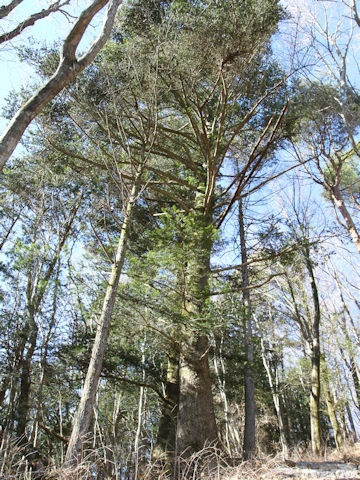 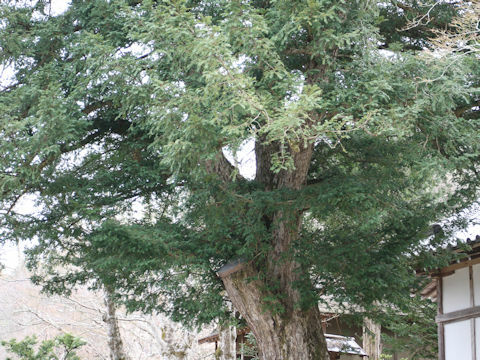 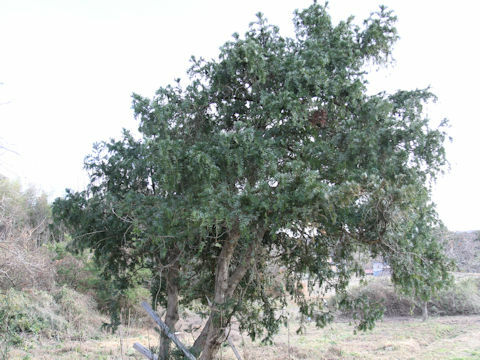 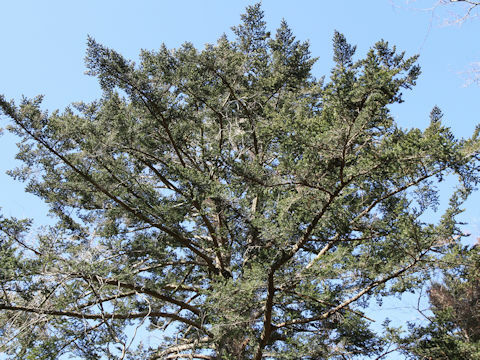 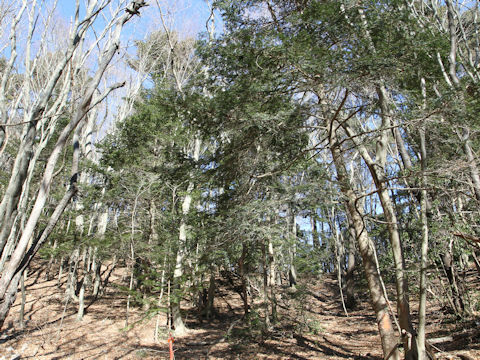 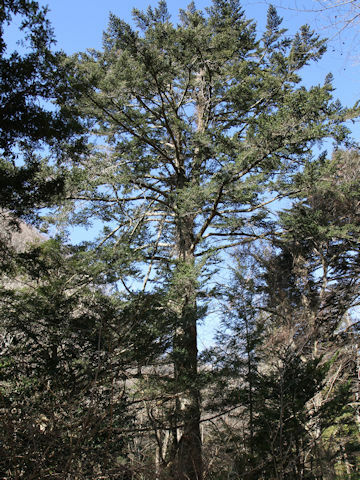 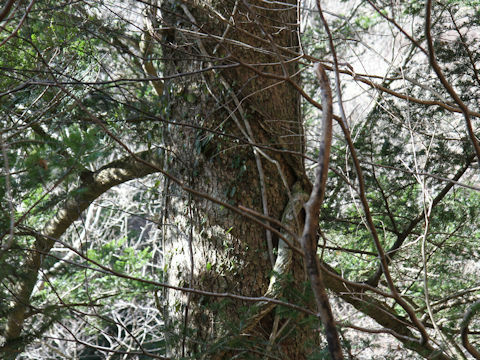 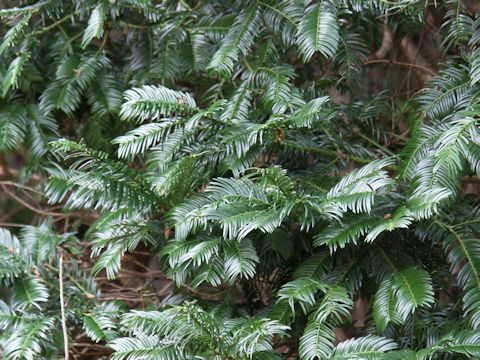 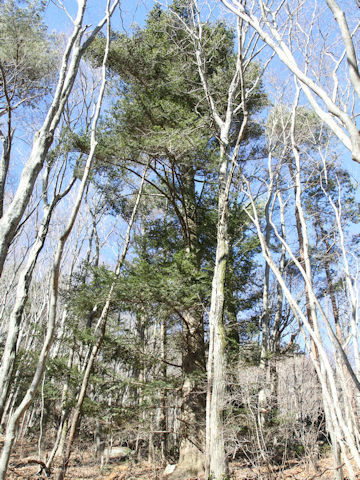 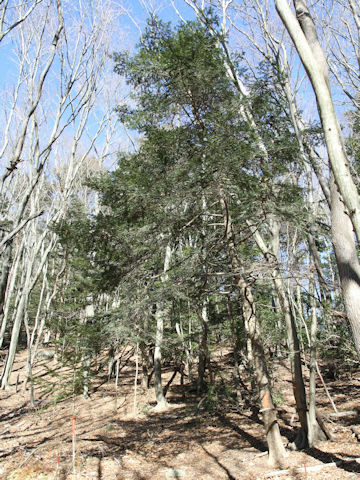 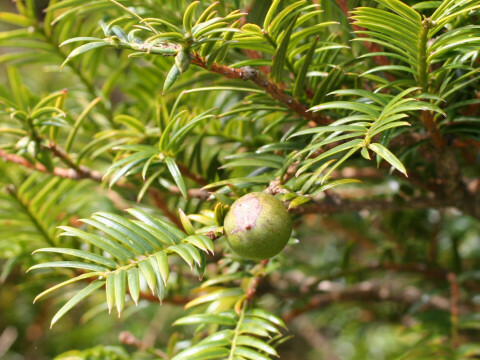 It is a tall evergreen tree that is native from Miyagi prefecture of Honshu south to Shikoku and Kyushu. 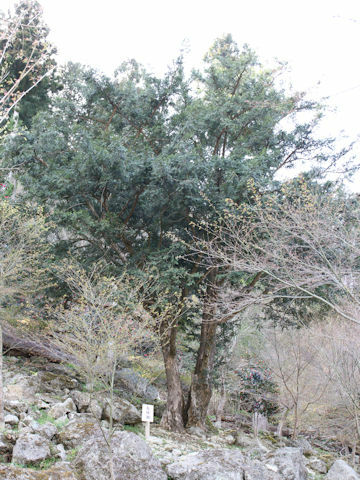 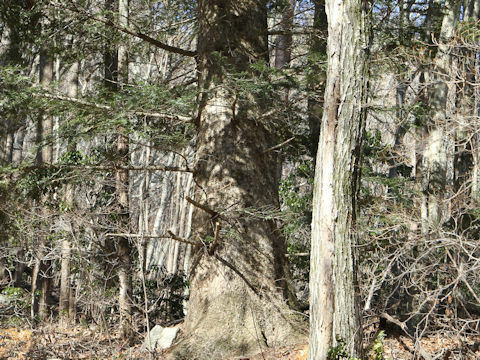 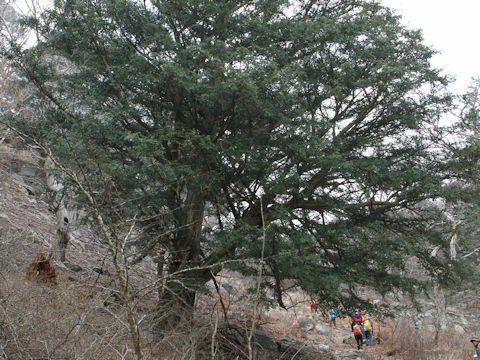 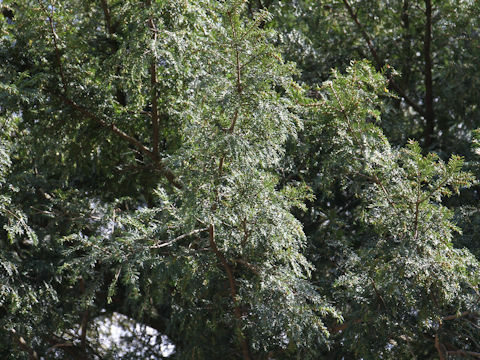 This tree grows in mountains and it can reach about 25 m in height. 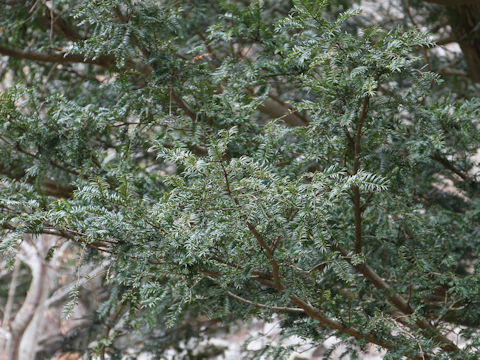 The bark is gray-brown and slightly furrowed longitudially. 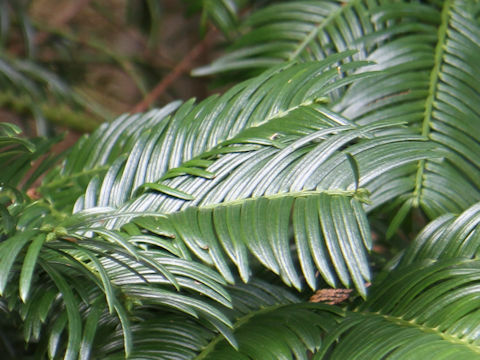 The leaves are linear about 2 cm long, and arranged spirally or in double rows. 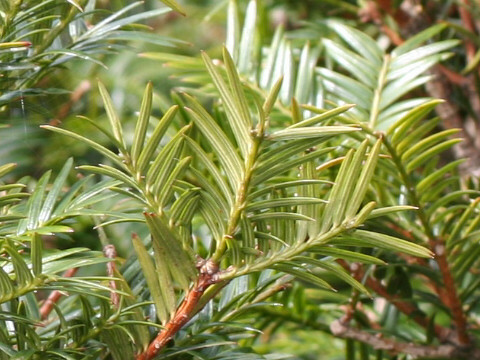 They have two, narrow, white stomatal bands on the rear surfaces. 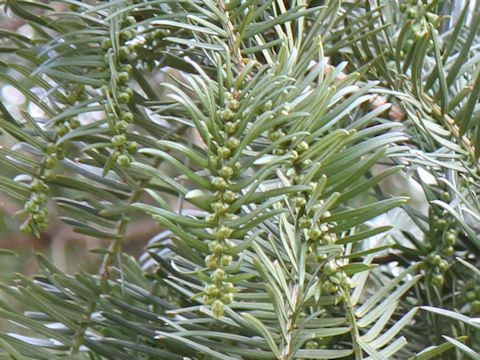 The male flowers are borne at the new-branch axils and the female flowers are borne at the new-branch bases in May. 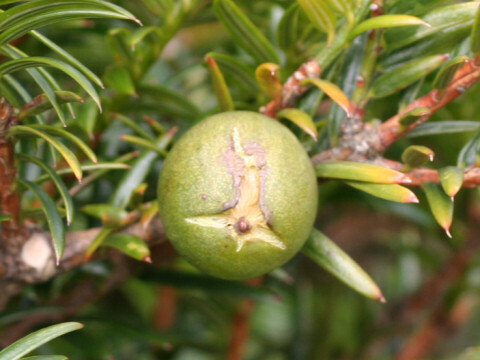 The seeds are covered with green arils, ripen and fall without change in next September.